As a suburb of Birmingham, Alabama, Mountain Brook allows visitors easy access to all the city’s attractions. It’s one of the state’s most affluent suburbs, with an abundance of historic landmarks, parks, shops, bars and restaurants. Whether you wish to spend a day at Birmingham Zoo, stroll around beautiful botanical gardens, or take a walk on the banks of Cahaba River, you can do it all from Mountain Brook. With abundant hiking trails, fishing spots and several swimming holes, it’s easy to spend an entire day by the Cahaba River. 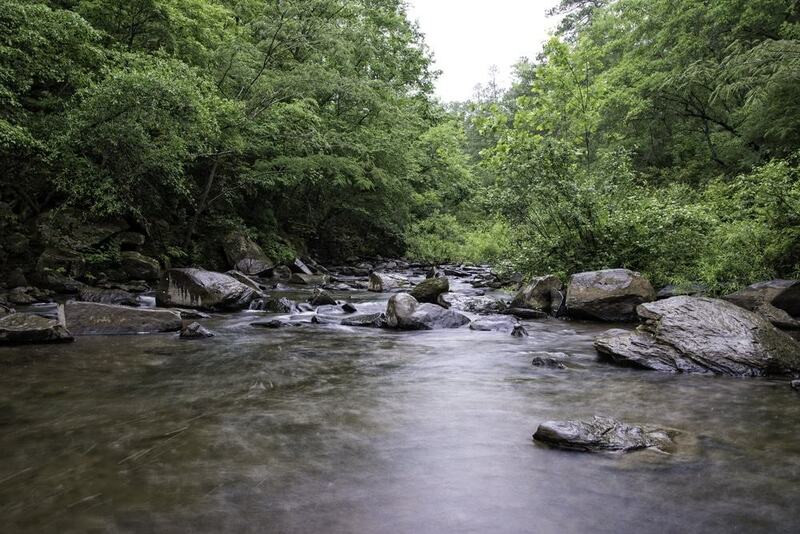 Located a few miles from Mountain Brook, visitors can enjoy canoeing, kayaking and boating, or if you wish to remain on dry land, stroll along nature trails to see hundreds of species of plants and wildlife. Pack up a picnic, and your camera, and listen to the soothing sounds of the river as you dine alfresco in this picturesque area of natural beauty. Birmingham Botanical Gardens are just over two miles from Mountain Brook, making it easy to walk or drive for a day out. The gardens are seasonal and spectacular with over 67.5 acres packed with over 30 themed displays. 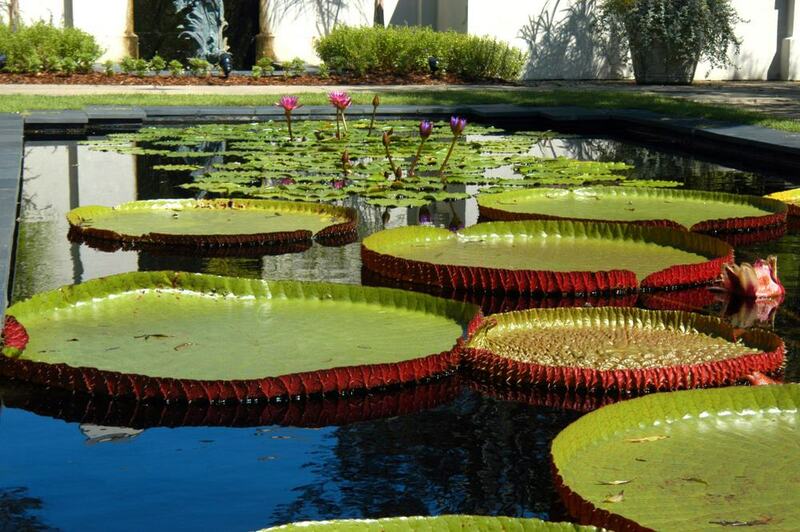 Gardens of Nature focuses on the indigenous plants and flowers of the south-eastern US, while Gardens of Culture focuses on specific aspects of human culture. Stroll around fragrant Herb Terraces, pretty Japanese Gardens and landscapes filled with wildflowers before heading to the café for a light lunch and drink. 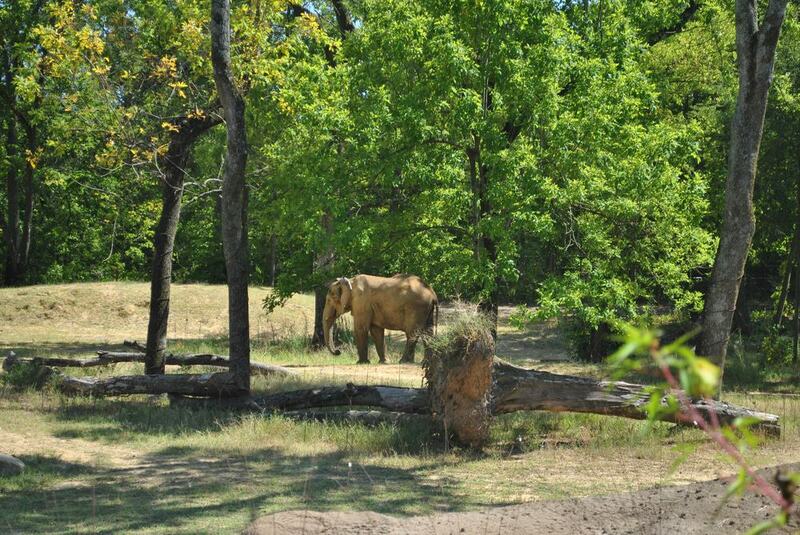 One of Alabama’s most popular tourist attractions, Birmingham Zoo is home to over 900 animals and 230 species. The 122-acre zoo showcases a variety of travelling exhibits, but its permanent residents include a number of endangered species, plus animals such as American Flamingos, African Elephants, Grant’s Zebra and Black-Handed Spider Monkeys. Zoo keepers try to make life less predictable for the animals here by placing food inside puzzles and preparing balanced diets. Visitors can learn more about a particular species through daily informative talks and exhibits, and if you wish to donate to the zoo, you can even adopt your favourite animal. 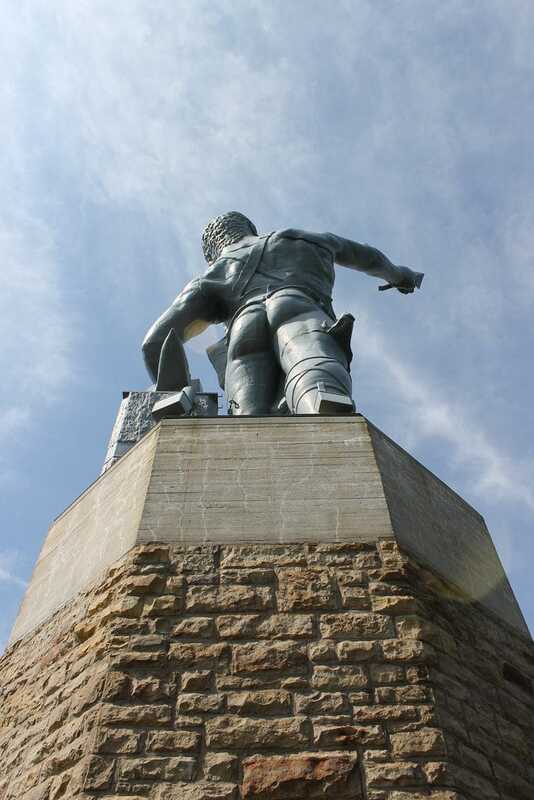 On top of Red Mountain, a bare-bottomed man, the statue of Vulcan – god of fire and forge, symbolises the city’s industrial heritage. He stands proudly at 56 feet tall and is crafted from 100,000 pounds of iron. The museum and visitor centre in Vulcan Park offers a great opportunity to delve deeper into the city’s past and explore how iron was forged in local furnaces and foundries. You can walk the trails, enjoy a mountain top picnic, or put all of your photography skills to the test on this fun, scenic, and informative day out. 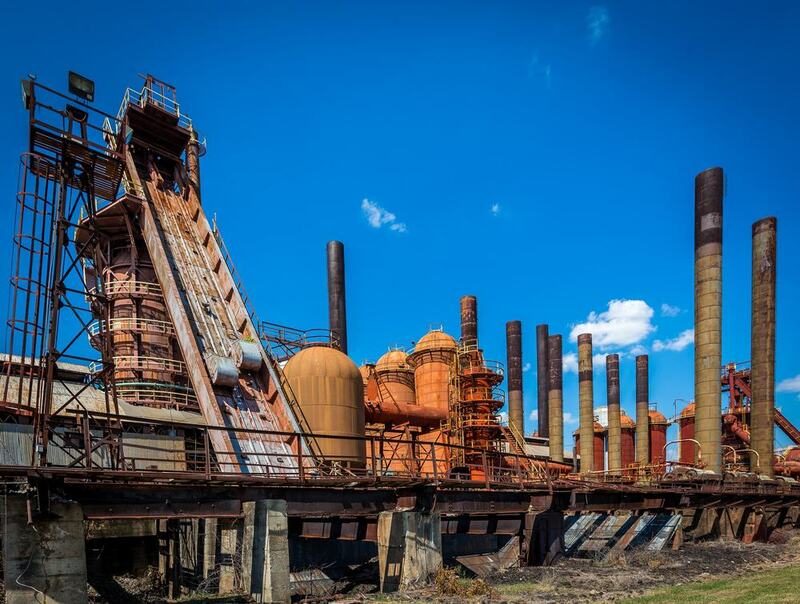 Continue your quest to discover more about the region’s industrial heritage at Sloss Furnaces National Historic Landmark. These towering landmarks in the heart of Birmingham were once the busiest pig iron blast furnaces in the world until they closed in 1971. Now the historic landmark serves as an interpretive museum, and plays host to music concerts, festivals and haunted ghost tours. Named after Robert Jemison Jr, a businessman and entrepreneur, Jemison Park sits on the outskirts of Mountain Brook. This 54-acre park is a popular recreational area, with miles of hiking and cycling trails which hug the banks of Cahaba River. 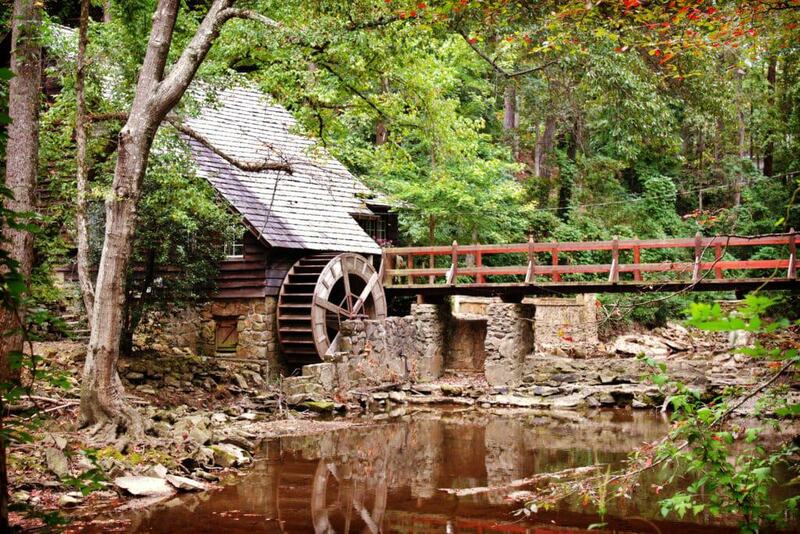 The park trail passes ‘The Old Mill’ on the banks of the creek. In years gone by it was formerly a grist mill, then later became a tearoom where horseback riders and hikers could stop for refreshments. Today, the mill has been renovated and the bridge repaired, and although it is now a private residence, it still provides a scenic backdrop to your walk. As you explore the nature trails you may be lucky enough to see raccoons, foxes and several native plant species, so don’t forget your camera. Although there are several golf courses and country clubs in and around Mountain Brook, many of them are not open to visitors. However, if you do fancy a cheeky 18-holes during your stay, Highland Park Golf Course allows everyone to play. This scenic golf course offers incredible vistas of the Birmingham city skyline and is Alabama’s oldest golf course established back in 1903. The course layout is fun and engaging for beginners, intermediates and seasoned golfers. With over 5,800 yards to play from back tees, this par-70 course features elevation changes, uphill shots, lakes and winding creeks for all levels of expertise to enjoy. If you’re looking to uncover local history as you drink your craft beer, then you should visit Avondale Brewing Company. Set in an historic building which has an infamous backstory, this brewery has been a firehouse, bank and a local saloon bar with a bordello! Named after the purest spring water that came from Avondale Cave, there are a multitude of beers and pale ales to sample. Whether you fancy trying Spring Street Saison Brew – a 4-malt blend made with traditional Slovenian hops, or Battlefield IPA- a gluten-free ale made with American and European malt and west coast hops, there are unique tastes to suit all. Each Saturday, The Market at Pepper Place opens its doors to locals and visitors. 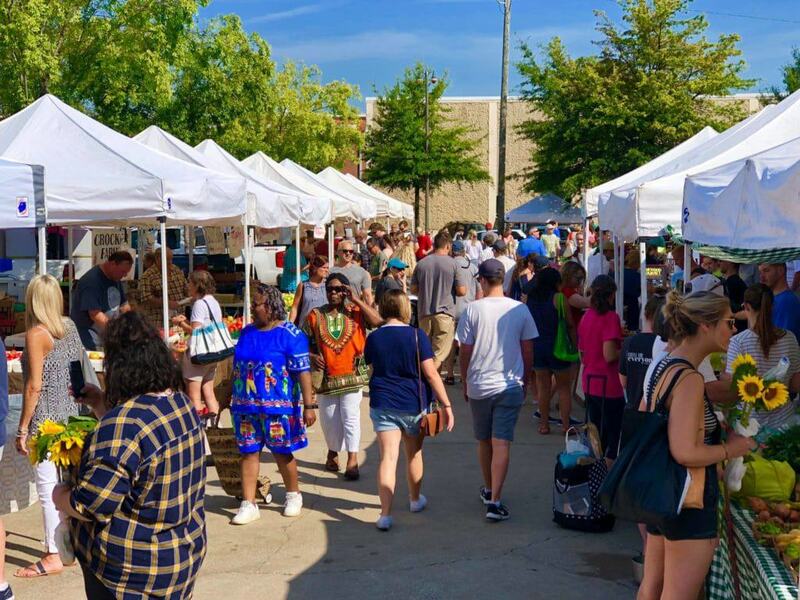 Displaying fresh produce and wares from over 120 Alabama food vendors, farmers and artisans, it’s the perfect place to procure food for a picnic or pick up a hand-made souvenir. You can pop down there for a lunchtime snack, as stalls sell delicious croissants, pastries and sausage biscuits, or you can sample deliciously creamy ice cream and frozen pops if you prefer to indulge your sweet tooth. Naked Art Gallery showcases artwork and crafts and from upcoming Alabama artists. This eclectic gallery set in a small house, strives to showcase pieces which are affordable for all pockets. Located in Forest Park, a few miles from Mountain Brook, you can cycle, walk, or stop in after a game of golf. Whether you’re seeking a keepsake from your Alabama trip, want to jazz up your lounge with hand-crafted cushions, or require a canvas for your bedroom wall, you can find it all at Naked Art Gallery. 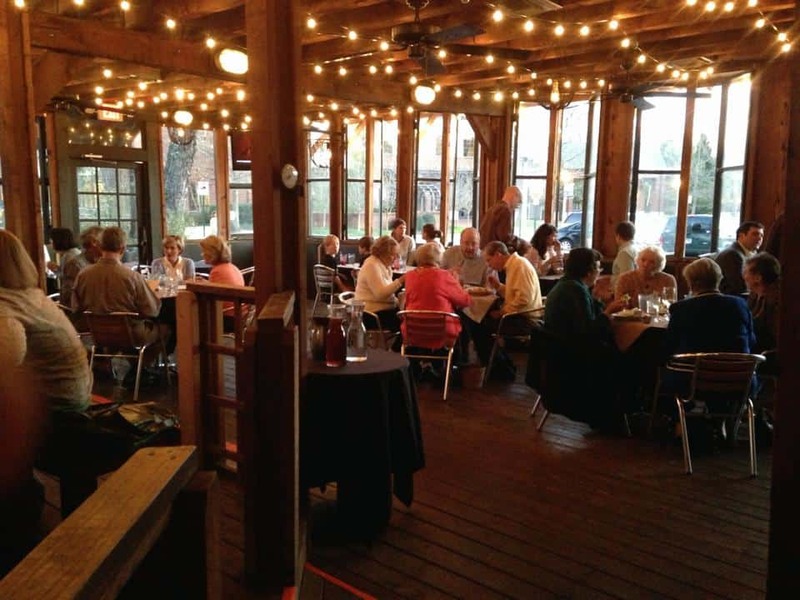 Dyron’s Lowcountry Restaurant in Mountain Brook opened in 2009. Run by husband and wife team Dyron and Sonya Powell, this relaxed restaurant offers a place to kick-back, relax and enjoy authentic Southern flavours. You can sample an array of dishes ranging from mouth-watering fresh oysters and southern Alabama seafood gumbo, to Black Iron-Seared Beef Tenderloin and Hickory Grilled Yellowfin Tuna. The restaurant offers a popular Sunday brunch and Happy Hours on Tuesday’s, Thursday’s and Friday’s. 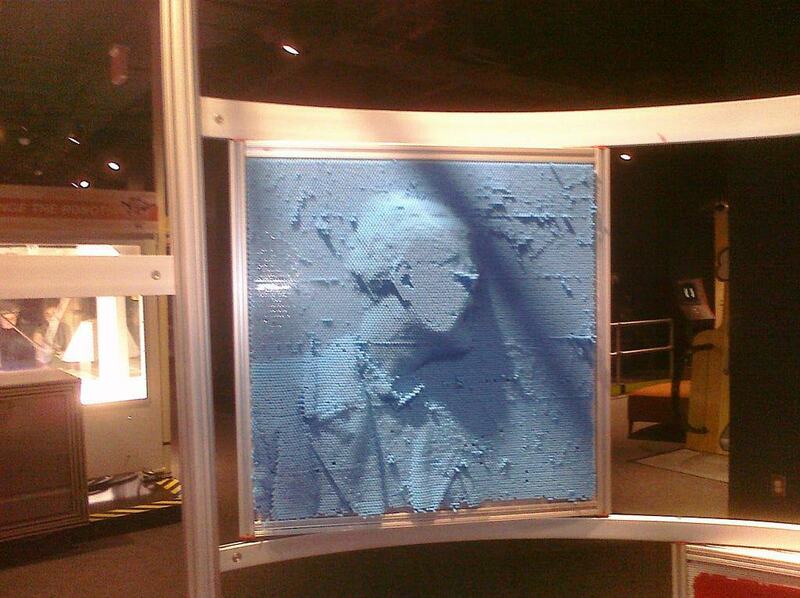 McWane Science Centre is an interactive attraction where visitors of all ages can lose themselves in science, nature and engineering. You can discover the science behind bubbles, watch Combustion and Lightning Strikes in Rushton Theatre, and even see McWane’s version of the Tesla Coil. Spend time learning about the distribution of mass on a Bed of Nails or use math to figure out how to open a safe combination lock. Whatever you decide to do, you’re guaranteed a fun and educational day out at McWane Science Centre in Birmingham, Alabama. 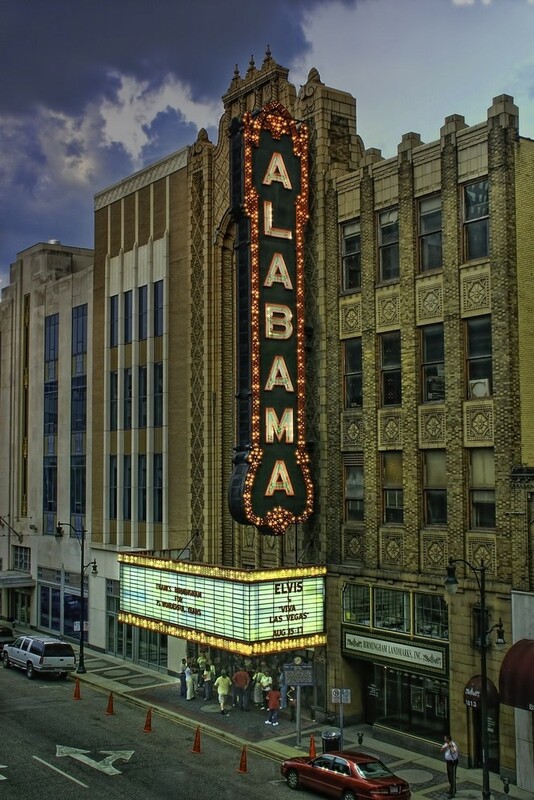 In 1927, Paramount Studios built Alabama Theatre as a place to showcase their movies to citizens of Birmingham. Today, the theatre showcases over 300 live events and movie screenings each year. It has been restored completely, bringing a sparkling, glitzy 1927 look back to the theatre. Visitors can take a tour behind the scenes, visit the balconies, auditorium and even listen to a demonstration of Big Bertha, the theatre’s mighty Wurlitzer organ. Alternatively, head to their website and book a ticket for your favourite upcoming show or movie, and marvel at the theatre in all its splendour. This 19-acre space in Downtown Birmingham is the perfect place to relax and take a walk if you want to escape the hustle and bustle of the city for an hour or two. With hiking trail loops, a lake, wetlands area, and beautiful views of the Birmingham skyline, it’s hard not to be captivated. There are several places to sit with a picnic, or you can head to the Boxcar café for lunch or snacks. 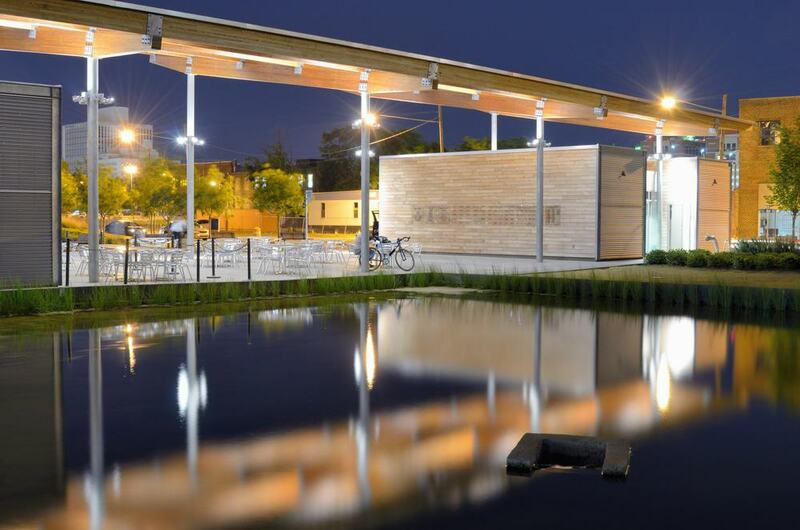 Railroad Park also hosts events from free cooking classes, to food truck days and lawn game contests. Once a year the park becomes a campground for families, where everyone can enjoy nature shows, astronomy talks and good old-fashioned campsite stories. ‘Dram’ is an old Scottish term for a glass of whiskey and signifies good times with friends. 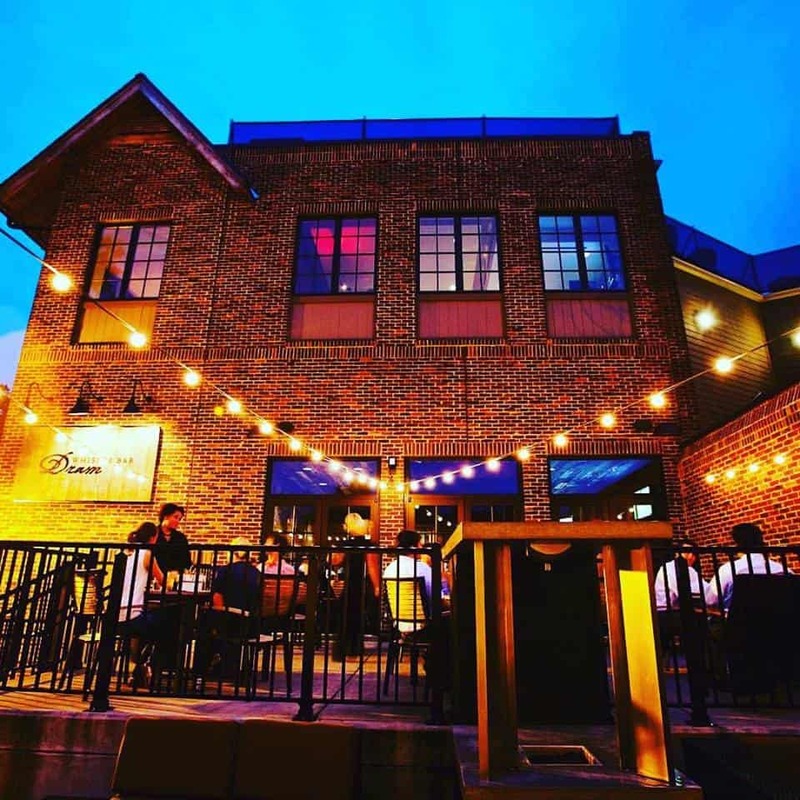 Dram Whiskey Bar in Mountain Brook embodies that spirit, with an extensive collection of Scotch whiskeys, bourbons, beers and cocktails. There’s a restaurant if you feel like soaking up some of the alcohol with a juicy steak or burger, or you can simply shoot the breeze with new found friends and enjoy the lively, laid-back atmosphere.